Aromatics from Pro Car care are aerosol Spray Scent is a specially formulated blend of high quality Natural oils, plant extract and odour eliminator additives. 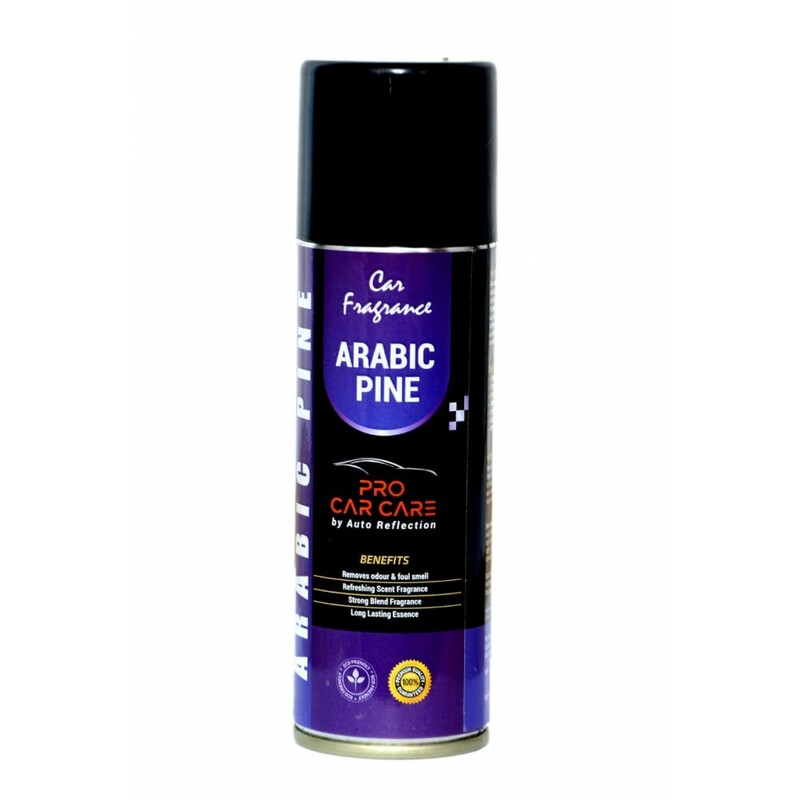 The special Mineral blends when sprayed into the Car interiors, home and office atmosphere, releases odour eliminating fragrance which will give refreshing scent and Adhere for long lasting results. Can be used in Car, office, House and small areas which need a refreshing air. These are strong blend of odour eliminating fragrance. For best results remove any source of unwanted odour. This odour eliminating chemistry works at the molecular level to remove foul smells like cigarette smoke, pet smell, sweat or wet smell and more. 3. 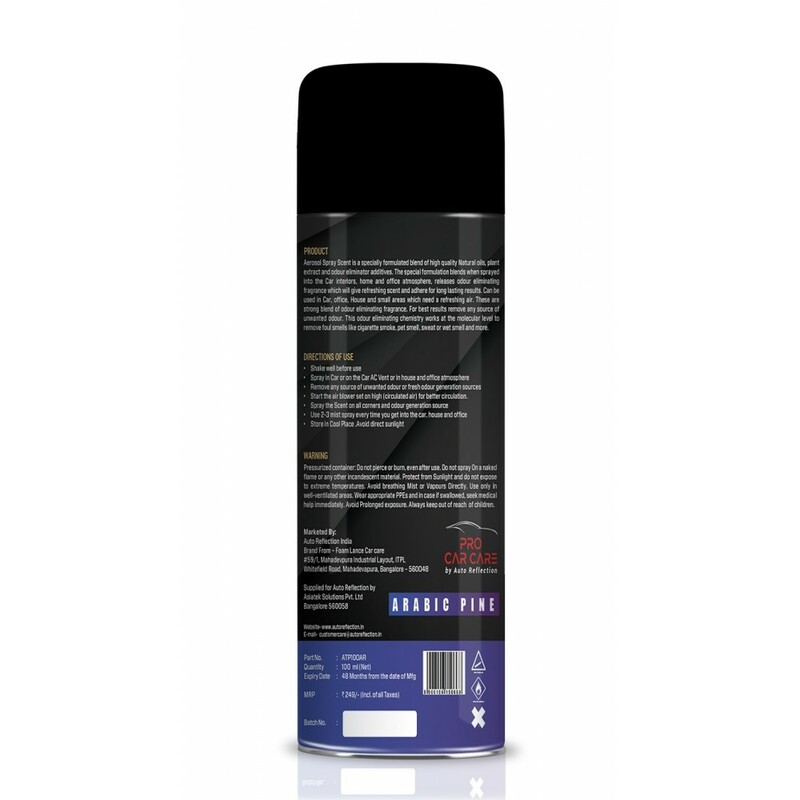 Shake well before use and Spray in Car or on the Car AC Vent or in house and office atmosphere. 4. 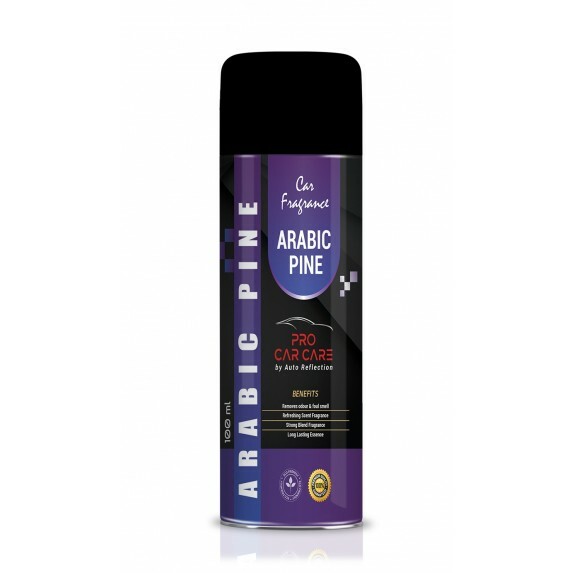 Remove any source of unwanted odour or fresh odour generation sources.